The President of Palau has reaffirmed his commitment to Taiwan despite China banning tourism to the Pacific island in the wake of failed coercion. The move, which will cause significant losses to the nation’s primary industry, cements Palau’s place as one of the 19 countries that still have diplomatic relations with Taiwan in defiance of Chinese pressure. Meanwhile, Air Canada has joined the growing list of airlines that have succumbed to Chinese demands to denounce Taiwan’s independence with the use of the air designation of “Taipei, CN”, leaving some Canadians to label the move as a dangerous precedent. Palau will not bow to Chinese pressure to cut off Taiwan, President Tommy Remengesau Jr. told Nikkei, saying the Pacific Island nation would look to such countries as Japan for fresh sources of economic support. The president granted an interview here on Thursday. As one of the 19 countries that still have diplomatic relations with the government in Taipei, Palau lacks formal relations with the mainland Chinese government. Remengesau is not against dealing with the mainland. "China is an important partner," he said. "If we had a choice, we would like to recognize China and Taiwan tomorrow." But shared "ideals, values and principles such as freedom" give Palau "more in common with Taiwan," he said. Remengesau said the country will never cut ties to the island to get in Beijing's good graces on his watch. Remengesau's term ends in 2021. China has begun ramping up pressure on Palau to end relations with the administration of independence-leaning Taiwanese President Tsai Ing-wen, according to media reports. Group tours to the tropical vacation destination have been banned, dealing a blow to one of its primary industries. Chinese tourism brought more than 88,000 visitors there a year at its peak. "We have to diversify our sources of tourism, attracting tourists from many countries," Remengesau said. "We are mindful not to be dependent on one particular nation while we welcome tourists from China." Toward this end, the country seeks both private investment from Japan and government support for "investment projects such as construction of hotels," the president said. Investment in the hospitality industry and increasing direct flights between Palau and Japan are among his top priorities for bilateral ties. As relations with China have soured, Palau has relied on its military alliance with the U.S. for security. It has also shown support for Washington's foreign policy agenda, becoming one of just nine countries to oppose a United Nations resolution last December condemning the American decision to recognize Jerusalem as the Israeli capital. The U.S. and Israel "are our friends," Remengesau said. "There are times we have to show our strong support to our friends." Palau supports Japanese plans to maintain "maximum pressure" on North Korea and looks to cooperate with Japan to curb smuggling in the waters surrounding Palau. Kim Jong Un's nuclear weapons and missile development casts a pall over the entire Asia-Pacific region, threatening substantial economic harm, the president warned. Remengesau plans to meet with Japanese Prime Minister Shinzo Abe while in the country to attend the triennial Pacific Islands Leaders Meeting in Iwaki, Fukushima Prefecture, which runs from Friday to Saturday. In the months since China began to bring pressure on international airlines to remove all references from their websites, apps and booking services to Taiwan as anything other than part of China, I, along with many other Canadians living in Asia, had taken great pride in the fact that Air Canada had refused to be cowed by the authoritarian giant. Sadly, that is no more. Joining a growing list of airlines including Qantas, Delta, British Airways and Lufthansa, that have yielded to pressure, Air Canada now uses a designation – “Taipei, CN” – that does not reflect reality, but can only please the leadership in Beijing, which refuses to acknowledge the existence of Taiwan as a sovereign entity. Despite only having 19 official diplomatic allies, Taiwan −a vibrant democracy of 23.5 million people that shares many of the values we as Canadian cherish − entertains constructive ties with many countries around the world. An important economic partner of Canada, Taiwan is also home to as many as 60,000 Canadians. Taiwan has its own passport, its own elected government, military, currency and enjoys many advantages, such as visa-free entry, the Chinese people are denied. China, meanwhile, has shed constitutional limits to the presidency, and in recent years has done much to undo a lot of the limited progress it had made in the past two decades or so – some of that with Canadian assistance – in terms of civil liberties. Freedom of expression, of belief, have been eroded; repression in the Xinjiang region has reached levels which border on conditions in a prison camp; activists, lawyers, academics, in and outside China, have been threatened, denied visas and taken to court merely for exposing the transgressions of a regime that brooks no criticism. 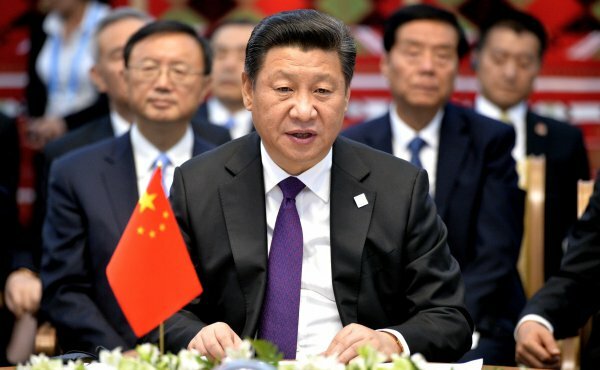 Under President Xi Jinping, China has become worryingly aggressive in its territorial claims, going as far as to militarize the South China Sea, and is now seen as a threat to several smaller countries in the region. Under Mr. Xi’s guidance, China has also launched a series of initiatives, known as “sharp power”, to undermine democracies worldwide. Beijing has also exploited Ottawa’s desire to sign a free-trade agreement with the world’s second-largest economy, to compel it to look the other way whenever it has violated the beliefs and values that define us as Canadians. For Taiwan, Ottawa has been a solid partner, supporting Taipei’s efforts to join multilateral institutions such as the International Civil Aviation Organization and the World Health Assembly, which Beijing has prevented for political reasons. This Ottawa does because it understands the values of inclusion. And even though it “took note” of Beijing’s claims that Taiwan is part of China upon establishing diplomatic ties with the People’s Republic of China in October, 1970, Ottawa’s multifaceted engagement of Taiwan is guided by the recognition of its value as a distinct polity and partner. We may be critical of Donald Trump’s White House for many things, but it spoke for many of us earlier this month when it referred to Beijing’s pressure on international airlines as “Orwellian nonsense”. Understandably, Prime Minister Justin Trudeau’s government looks to China as an important economic partner to ensure our own prosperity, but we cannot afford to compromise the values, beliefs and traditions that make us who we are in the process. Canadian companies need not give in to bullying and blackmail for access to the Chinese market. Instead, we need to make it clear that this is a relationship of equals, one in which we have our own red lines. Democracy, liberty and freedom should be areas of no-compromise in our negotiations with Chinese authorities. When we yield to Beijing’s preposterous demands, the way Air Canada did on how it refers to Taiwan, we display our weakness and our willingness to compromise what we believe in. A revisionist regime that seeks to undermine and alter the international system can only see such weakness as an invitation to demand more – and in doing so, we sow the seeds of our own misfortune. I speak for many Canadians today in feeling ashamed for the decision by Air Canada, a company we can be proud of, to give in to Beijing’s coercion. Surely we can do better than this.